All program registration is birth date driven. Please reference the table below to see the age group into which your child falls. 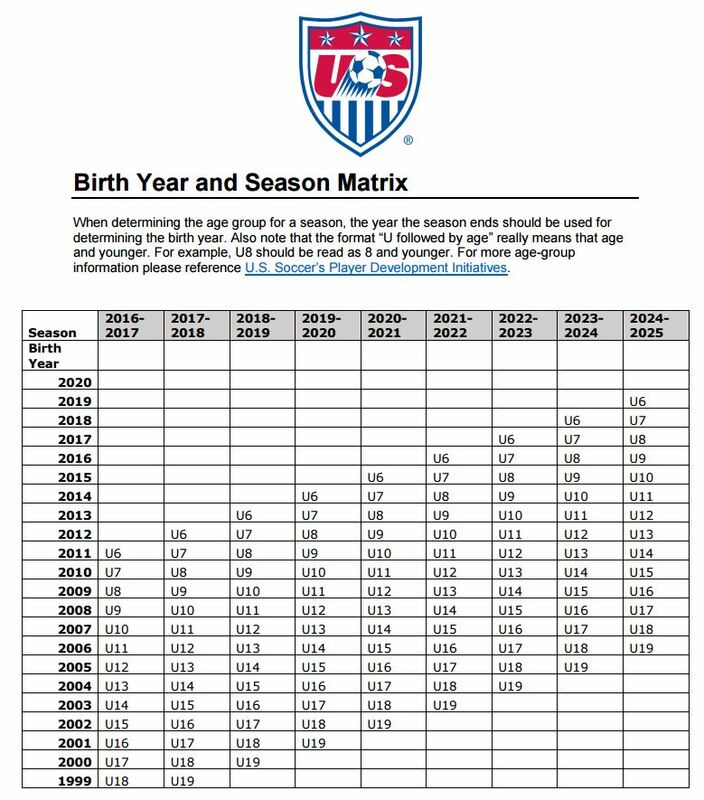 US Soccer changed the age matrix nationwide during the fall of 2016. The new soccer age matrix now runs from January 1 through December 31. Travel players may play up in some circumstances but will be expected to try out for their age division.